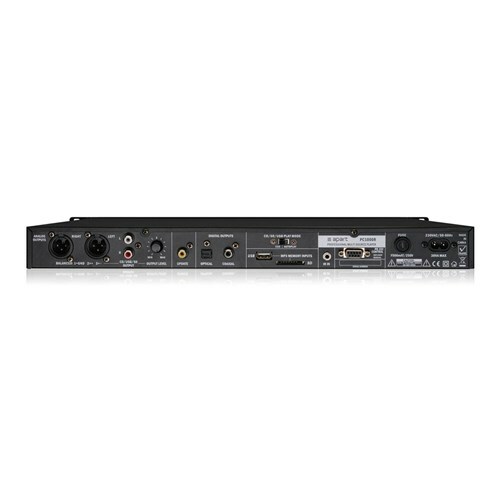 The Apart PC1000RMKII is a professional multisource CD/USB/SD-card music player, equipped with balanced and unbalanced analog outputs, coaxial and optical digital outputs and a RS232-port for use in integrated systems. The maximum analog output level can be preset at the back of the PC1000RMKII to match the output level of other audio sources, such as tuners and other media players. The unit has an operation mode switch at the back to choose between Auto Play and Cue. 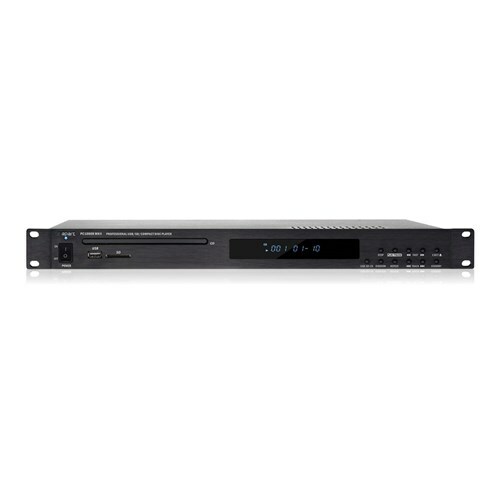 When the PC1000RMKII is in Auto Play mode, the unit will always start playing automatically when it’s powered on. In Cue mode the unit will wait for a play command after powered up, or when it’s in stop or pause mode. 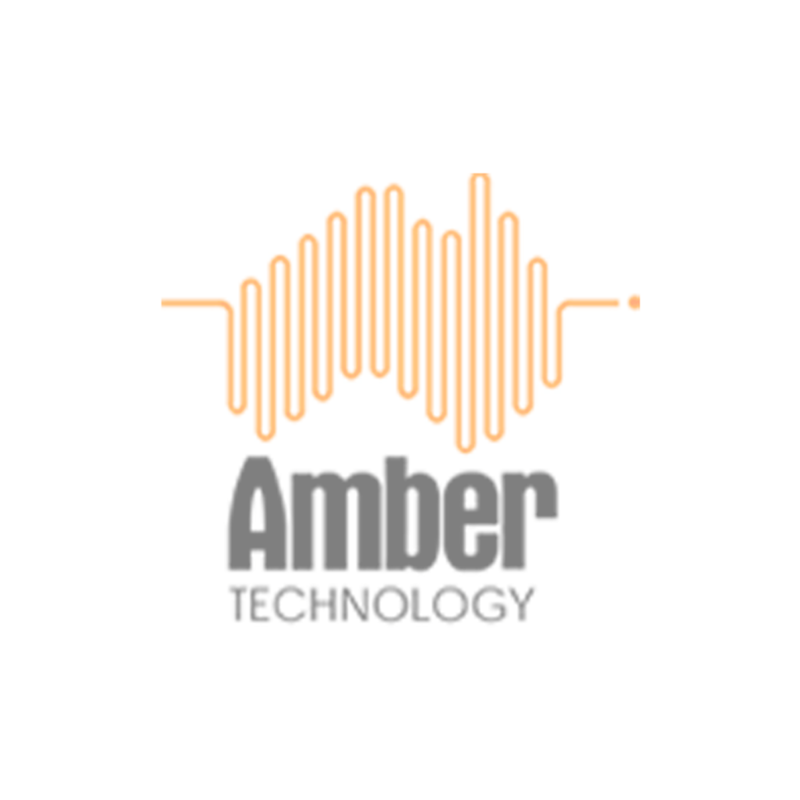 This function allows a track to be selected without starting to play automatically. There are USB and SD-card slots on the front as well as on the back of the unit (to avoid people from taking the memory stick or SD-card out). The total number of tracks is enormous, because you can plug in devices carrying up to 9.999 tracks. The default source is CD, but when no CD is present, the unit will automatically search for media on the SD and USB slots. The PC1000RMKII can be controlled by the front panel buttons, infrared remote (included) or RS232-commands. A list with the possible RS232-commands is included in the manual.